Few things are better than life with a kitten. These adorable little furballs are endlessly fun and impossibly cute, but it’s also important to know exactly what you’re getting into when you adopt a kitten. 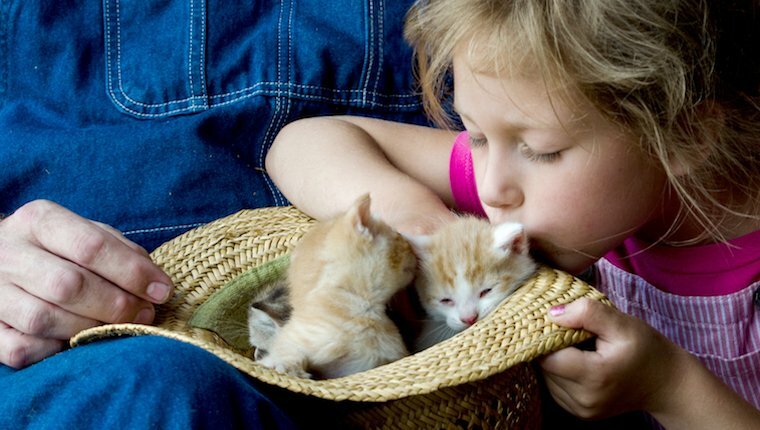 Here are five essential tips for getting to know your kitten and caring for them as they grow. Kittens can be resilient creatures. However, when you bring a new kitten home, you still need to plan for a period of adjustment before inviting everyone you know to come for a visit. First up, set your new kitten in a small room where they can explore around safely and get accustomed to their new environment. Food, water, a litter box, a scratching post, and some toys are key. Once your kitten seems to be getting used to their new digs, you can slowly let them begin to explore the rest of the house or apartment. 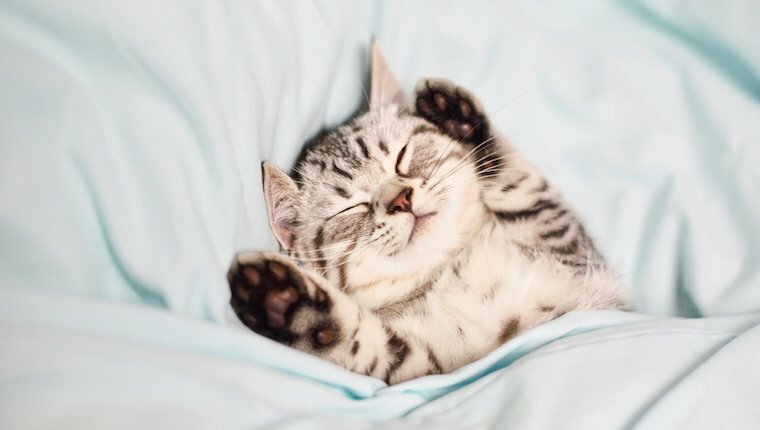 Kittens have two settings: play and sleep. A kitten’s need for play peaks when they are about twelve weeks old, which is right around the point when your kitten should come home with you. 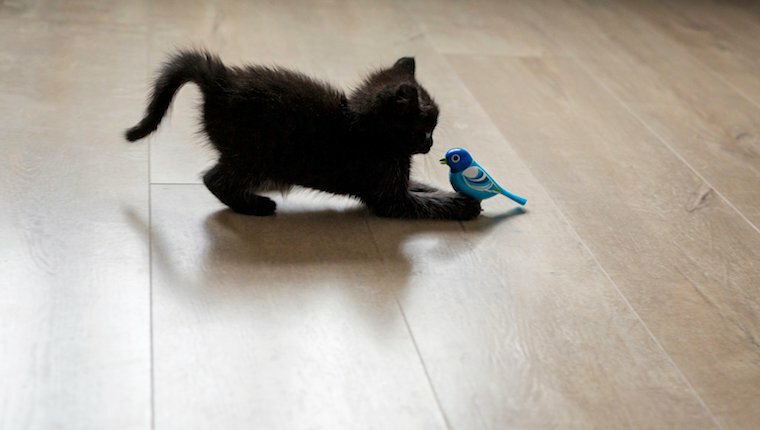 To that end, make sure your kitten has a variety of toys to fulfill their love of play and being active. Suggestions include: puzzle toys that dispense treats, stuffed toys to stalk and attack, and balls or electric toys to chase. These toys will let your kitten exercise their natural hunting instincts, too. Fresh kittens might be prone to biting. A simple solution when your kitten starts to bite in an inappropriate manner, make a loud noise (like a good “Ouch!”), walk away, and then give them a suitable toy to bite or attack. At this point you can heap praise on your kitten for demonstrating appropriate behavior with the toy instead of your fingers. 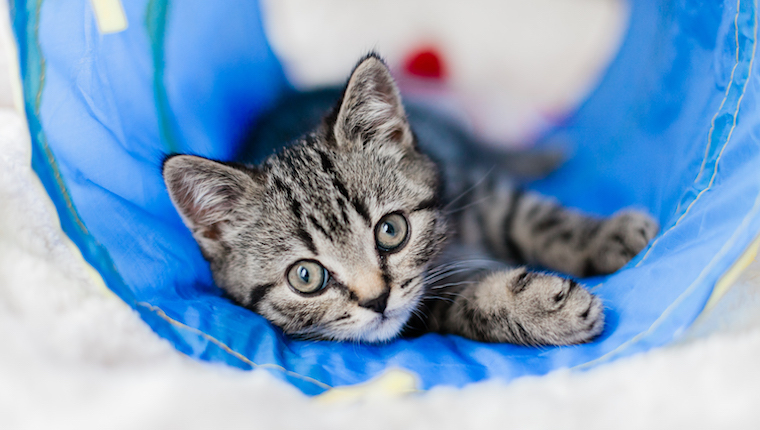 Well before your new kitten is four months old, you’ll want to foster good behavior and socialization. This might involve dealing with dogs, children, vet visits, car journeys, wearing a harness or leash, plus any grooming and dental regimes. Go slow, make it fun, and give your kitten lots of praise, petting and treats when they’re encountering what might be a new and potentially scary situation or activity. 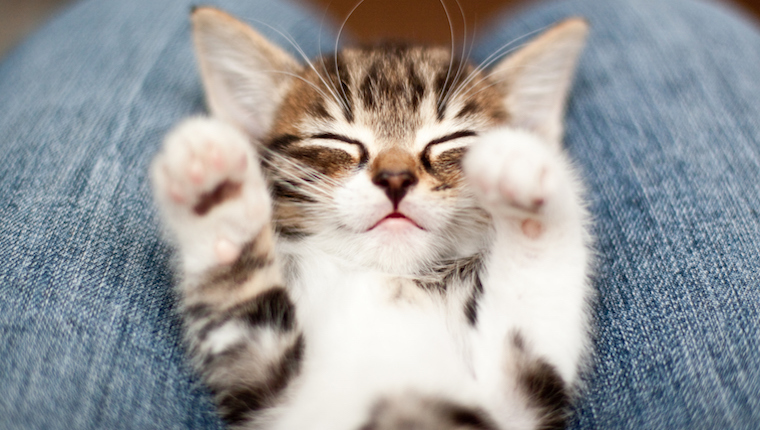 Starting early will help your cat be more outgoing and well-behaved in the future as an adult. It will also make routine tasks, like brushing their teeth or going to the vet, much easier. 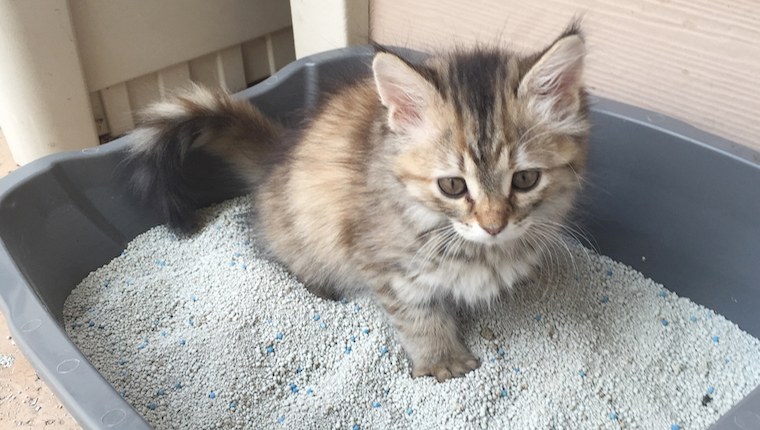 Finally, set up your kitten’s litter box so that it’s attractive to use. At first, offer a choice of several types of litter so she can select her favorite, plus include a choice between an open and a covered litter box. Also, always keep the box super clean, both in terms of scooping out poop and washing it regularly with non-harsh cleaning products. You may wish to replace the litter box every so often. Remember, cats can smell things you can’t, and an old litter box might harbor some nasty odors, even after a wash.
Do you have any other tips for people who want to adopt a new kitten? Let us know in the comments below!